Today Memory from Stella Matutina is sharing the story of how she became a fantasy fan! Stella Matutina is another one of my favorite blogs to visit for all things bookish. You know how once in a while you find a reviewer whose taste really matches yours? You both love the same books, and you both tend to not like the same books even if it seems like you’re the ONLY ONES in the ENTIRE WORLD who didn’t enjoy this one book? Memory is that reviewer whose taste seems eerily similar to mine – so if you have found you also have taste that is similar to mine, you should definitely be reading her blog! In addition to having excellent taste, she writes some really interesting and fun reviews, especially when she’s so excited about a book that she just can’t be constrained by things like punctuation and grammar. I’m a fantasy fan because of two women: Lisa Boles, my grade seven Language Arts teacher, and Jean Mabee, my junior high librarian. That’s not to say I was a total fantasy neophyte before I met them. I’d read a decent amount of children’s fantasy–C.S. Lewis and Lloyd Alexander and the like. Trouble was, my twelve-year-old self wanted to explore work aimed at an older audience, and I thought that meant abandoning all hope of anything magical. My parents spoke of having read fantasy in their younger years, but both had since moved on to other genres. Their example showed me that adult literature was primarily composed of category romance, mystery, and submarine novels. All of which sounded pretty damned dull. I figured I was doomed. It wasn’t until I perused Ms Boles’s classroom library that I realized fantasy existed outside the realm of children’s literature. She had a fair few adult fantasy novels in the mix, and my classmates and I were welcome to borrow them. I chose a Forgotten Realms title more or less at random and dove right in. The next thing I knew, I was obsessed with the genre. When Ms Boles realized what had happened, she pushed me to read several of her own favourites, including Robert Jordan’s Wheel of Time series. 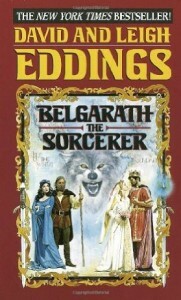 They were the first properly epic books I’d ever encountered. I loved them so much that I started getting up an hour earlier every morning, just so I’d have more time to read. I’m not sure whether Ms Boles mentioned my newly-minted fantasy-fan status to Mrs Mabee, or whether she noticed it herself. Either way, I soon made her acquaintance–and she proved to be an even bigger fantasy fan than Ms Boles. She and her co-librarian (whose name, I fear, escapes me) had stocked the school library with both fantasy and science fiction. Mrs Mabee ensured I knew exactly where to find the best of the lot. 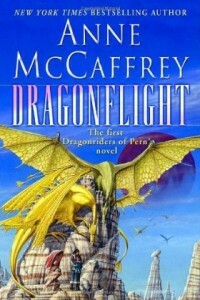 She introduced me to authors like Mercedes Lackey, whose work I loved, and Anne McCaffrey, who proved hit-or-miss but ultimately enjoyable. Mrs Mabee also lent me several of her own books–presumably titles her library’s budget (or, perhaps, the school board’s content restrictions) didn’t allow her to purchase for students. Ms Boles, too, made sure I entered the rotation for her copy of A CROWN OF SWORDS, the seventh Wheel of Time novel. Ms Boles and Mrs Mabee loomed large in my world. Through them, I met a couple of female teachers’ aides who also loved fantasy. My habit of openly carrying my current read everywhere I went also introduced me to some fantastically-inclined women outside the school’s walls. 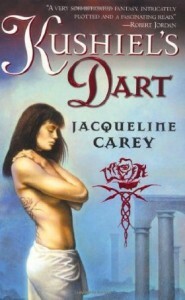 For a long time, almost every fantasy fan of my acquaintance was female. The books they recommended to me changed my world. And I’ve just realized that very few of those books were by women. When I look back at that period, I can point to many favoured male authors. 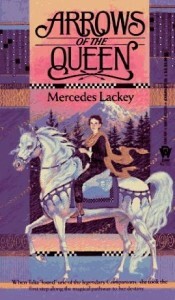 But other than Mercedes Lackey (who, to be fair, published enough books for any three writers), Anne McCaffrey and Leigh Eddings (David’s often-uncredited coauthor), I’m drawing a blank on female writers. I’m sure I did encounter others, but I read so many more books by men that the female-authored texts have been drowned out. I honestly don’t believe I read so few books by women because there were none available. 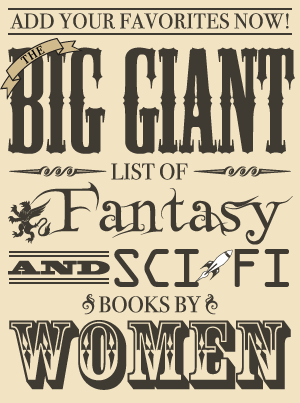 Neither do I think my male-oriented reading list had much to do with the fact that epic fantasy and fantasy adventure were my preferred subgenres. It was a matter of visibility. I mostly read books people recommended. People recommended books they’d heard of, and subsequently read, themselves. Most of those books were by men, because our culture privileges men’s writing over women’s. Sometimes, this privileging is unconscious. Other times, it’s deliberate. It’s always a disservice to both female writers and readers of all genders. 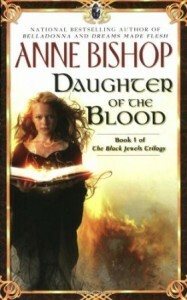 I was eighteen and fresh off an historical fiction kick before I began to read substantially more fantasy by women. 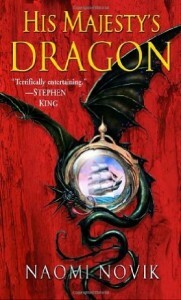 I no longer knew many fantasy fans, female or otherwise, so I couldn’t rely on recommendations. I found most of my books by browsing the library’s shelves at random. Somehow, I gravitated towards female fantasists. Which was all fine and dandy for me, but as Elizabeth Bear said earlier this month, the best way to support female writers is to buy their books, read them, and talk about them. I did very little of the latter until I joined LibraryThing. Sharing my thoughts with other avid readers proved so much fun that I later began my blog, where I do my best to be vocal about the authors I’ve read and enjoyed. More than half of them are women. In return, I’ve received scads of recommendations for fantasy by women. I discovered Sarah Monette, Naomi Novik, Anne Bishop, Connie Willis, Lisa Shearin, Jacqueline Carey, Elizabeth Knox, Diana Wynne Jones, and a whole host of others because I knew fans–most of them women–who had read their work, loved it, and told the world. We’ve got a long way to go before female authors are as visible as their male counterparts, but whenever we spread the word about a book we’ve enjoyed, whenever we encourage another girl or woman to read some SFF, we’re moving in the right direction. Fifteen years back, two enthusiastic, supportive female fans did just that for me, and it’s made my life so much richer. I’ll always be grateful to them.